Winmo is an intuitive sales intelligence platform that offers a wide range of features including personalized alerts, salesforce integration, and lead recommendations. 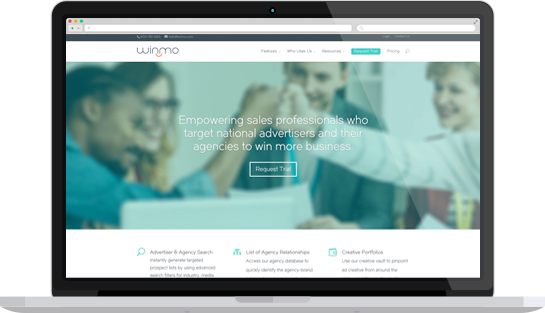 Winmo allows you to maximize your results by using the platform’s actionable sales intelligence. Users have access to over 10,000 unique advertisers and with the addition of WinmoEdge (formerly DailyVista) they are able to view forecasts of new business opportunities that show the when, why, and how to reach out to ideal prospects.